But there is one exception!! JAFFE! 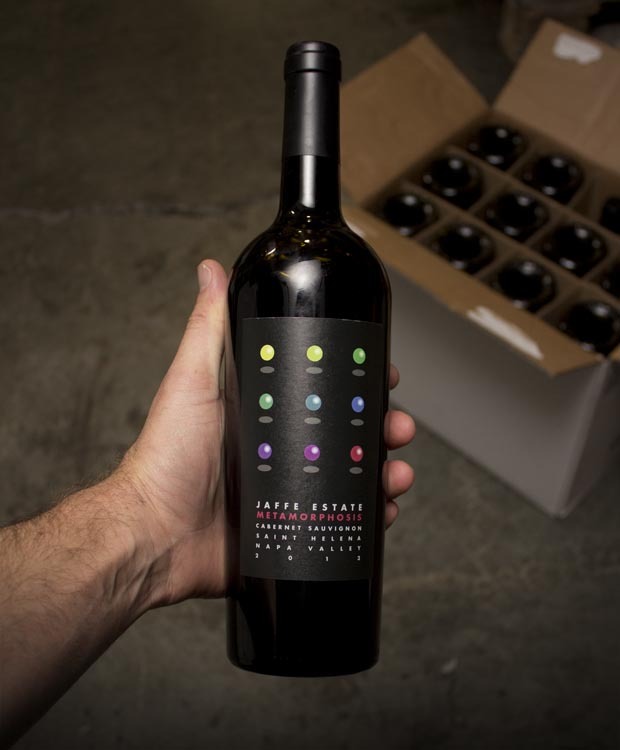 Our MOST popular Cabernet of all time, probably, since we started getting a few cases back in 2012! If you’ve been a Last Bottle client for any length of time, you just KNOW --- and likely you have already made sure you snagged your 6-pack!! But ya gotta move hyper-quick…. Why so popular, you ask? Why are people pulling over cars and quitting whatever they happen to be doing to get this? Well, it’s GLORIOUS Cabernet for one thing, but it comes from old vines (planted in the 70s) in St. Helena (and close to the Rutherford border) and has a beautifully balanced, warm and generous personality --- in the spectacular 2013 vintage it is even MORE lush and silky than usual. The price? Matchless! Peerless! Once you pop the cork (if you get any in time, that is), get ready for bright, juicy, lip-smacking raspberry, dried cherries, black currant and a savory fruit pie component, with the understated power of the ‘13 vintage. Nicely silky and balanced, it is absolutely everything you look for. We know, because we bought a bunch of cases for ourselves!! While it lasts...!